Forever out of place: Cooking class: Pizza! 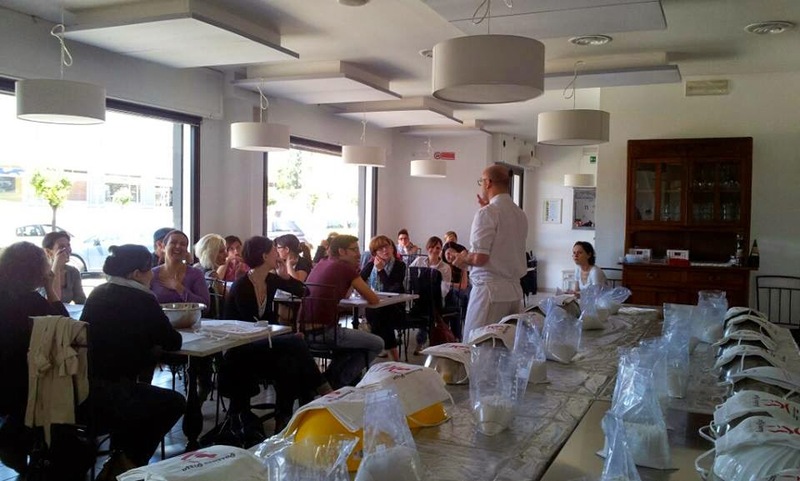 All images courtesy of La Strana Coppia. 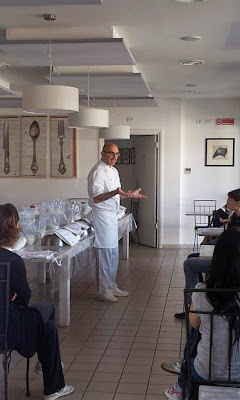 On Sunday morning I headed to a nearby pizzeria (La Strana Coppia, one of my favourite places here) for my third cooking class. This time the subject was: pizza! I surely could never miss this! 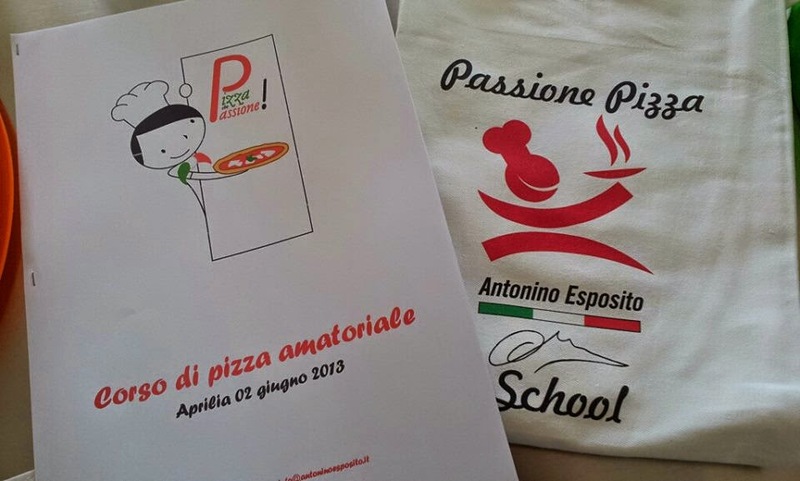 The teacher was Antonino Esposito, who has many years of experience and a huge passion for pizza. 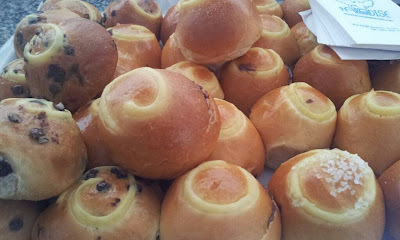 But first we enjoyed little brioches the teacher brought for us from Sorrento. 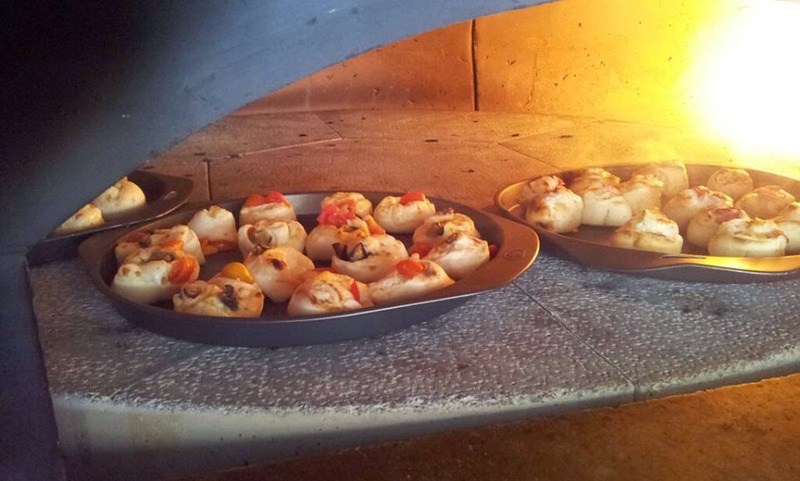 They were a really delicious start! First, Antonino explained us everything we need to know about all the ingredients that make a real pizza napoletana: flour, yeast, sugar, salt, etc. Then, we got to make our own pizza dough! 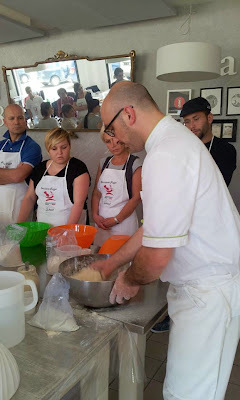 First Anotonino showed us what we had to do, even the details of the mouvements we had to do with our hands. Then we started working, and he watched all of us and helped and corrected us when we weren't "perfect". 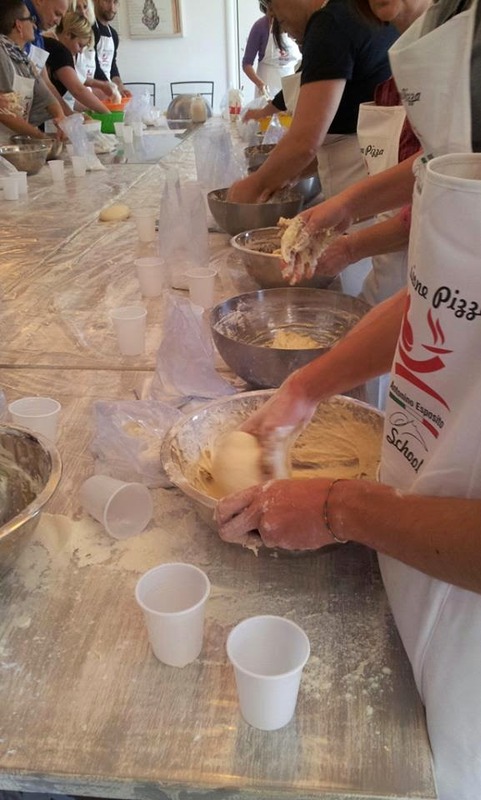 The dough which came out was beautiful, and we got to bring it home with us. I am planning to make pizza tomorrow night. I liked that he explained in detail how to make pizza in a regular kitchen oven, no professional equipment needed. 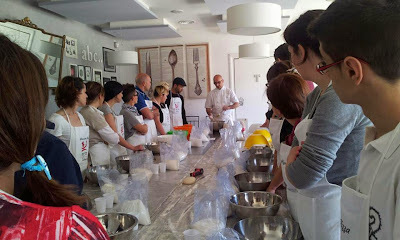 And he gave us instruction on how to make our dough by hand. I bought his book as soon as we were done, and I am sure I'll try many recipes soon. 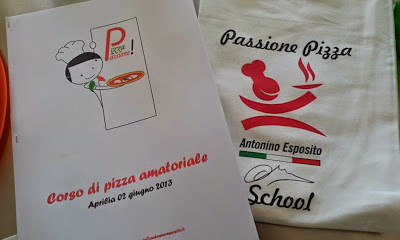 I loved the whole experience, since the teacher was very funny, the company enjoyable and the food... well, you know, awesome!